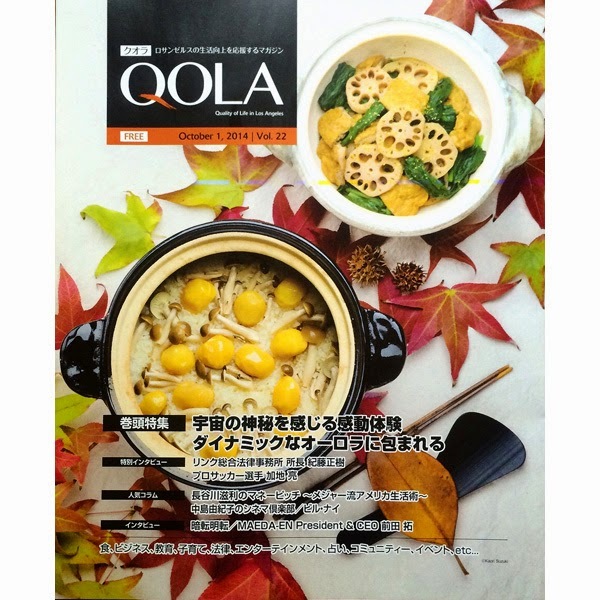 I had an opportunity to cook donabe dishes for the cover of QOLA magazine, a culture magazine for Japanese people in LA. The theme was "Taste of Autumn in Donabe". I made a Japanese classic autumn dish, Chestnut Rice ("Kuri Gohan") in double-lid donabe rice cooker, "Kamado-san", and dashi-simmered lotus, abura-age, and spinach in a mini-size classic-style donabe, "Rikyu-Tokusa". The dishes were photographed by a very talented photographer, Kaori Suzuki. I had such a fun at the photo shoot, and I am so happy how the photo came out! You can find the recipe for the Chestnut Rice in toiro kitchen's website. So, please check it out. For your happy donabe life, we have new special items, both are made by a 260-year old artisan dyer, Echigo Kamegonya, in Niigata, Japan. 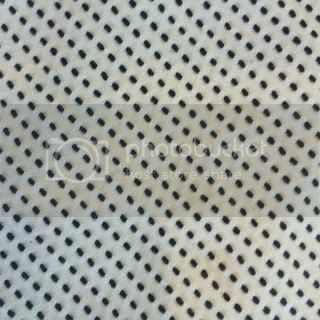 The "Sashiko" Stitch Apron. 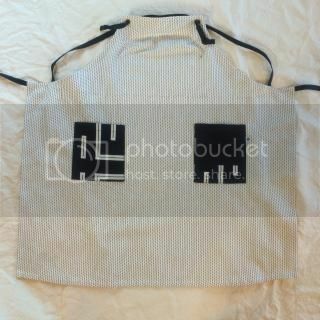 This artisan apron has the patterns of Japanese "sashiko", the collection of tiny stitches. The pockets are cut from their hand-dyed "hanten" (traditional jacket, used to be worn by fire-fighters and merchants). The pockets designs are unique and slightly different from each other, so no two aprons have the same pockets designs. 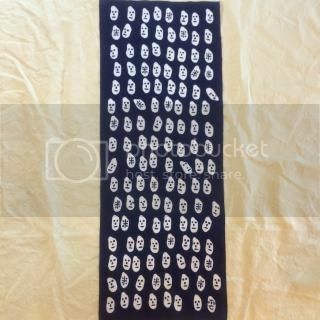 Hand-dyed multi-purpose Japanese "Tenugui" Cotton Cloth. 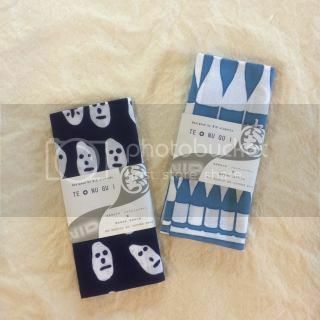 Each tenugui is hand-dyed in a traditional method by a craftsman. Tenugui cloth used to be an essential item at households in during Edo Period (1600 - 1868) and still has been loved by people in Japan. Tenugui is an essential item for donabe cooking, as you can use it to lift a hot lid or use two for holding handles to carry a donabe. 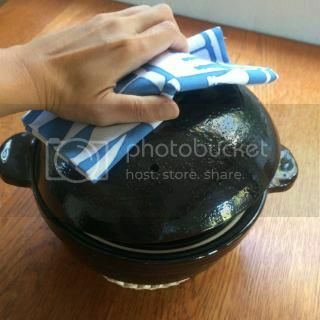 It's more convenient than using oven mitts and also look prettier! 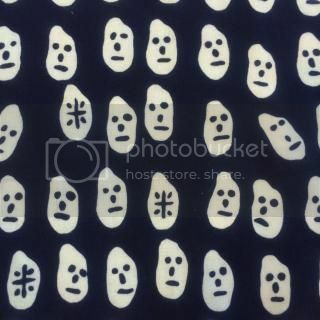 For other common purposes, tenugui can be used as a wiping cloth, gift wrapping, display on the wall, or even fashion (wrap around neck or used as a bandana). You can even cut it in half and use them as small towels or handkerchief. 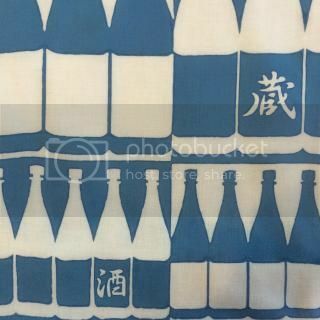 Tenugui traditionally has unhemmed ends and natural fraying is part of the beauty of tenugui. The frays can be cut by scissors. We have two different designs. 1. Niigata Sake Bottles. Very cute designs. I use them for a variety of purposes in the kitchen. 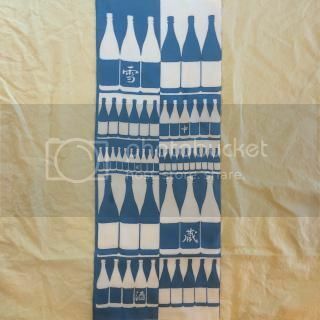 A tenugui is so convenient for lifting a lid, etc., in addition to be used as a hand towel.